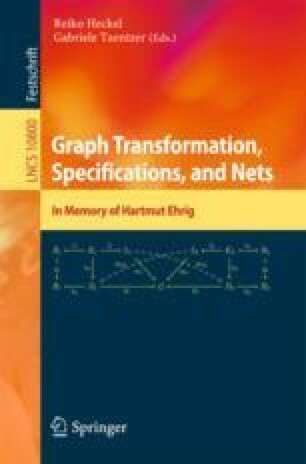 Graph transformation or graph rewriting has been developed for nearly 50 years and has become a mature and manifold formal technique. Basically, rewrite rules are used to manipulate graphs. These rules are given by a left-hand side and a right-hand side graph and the application comprises matching the left-hand side and replacing it with the right-hand side of the rule. In this contribution we give a tutorial on graph transformation that explains the so-called double-pushout approach to graph transformation in a rigorous, but non-categorical way, using a gluing construction. We explicate the definitions with several small examples. We also introduce attributes and attributed graph transformation in a lightweight form. The paper is concluded by a more extensive example on a leader election protocol, the description of tool support and pointers to related work. We would like to thank all the participants of the North German GraTra Day in February 2017 in Hamburg for the discussion about this paper. Especially, we would like to acknowledge Berthold Hoffmann, Leen Lambers and Hans-Jörg Kreowski who contributed by commenting on our paper and giving valuable suggestions and hints.